(CNS): A newly published report on the state of the Cayman Islands’ prison system has made more than sixty recommendations on how to address the many problems within the prison system and in particular the growing problem of recidivism. The report, which was commissioned by the Portfolio of Internal and External Affairs and undertaken by the institute of Public Administration of Canada (IPAC) found that the rehabilitation programmes have been "decimated”, leaving what the experts say is a crucial part of the prison system completely neglected. In order to stop the prison revolving door, the experts warn that rehab must be considered equally important as keeping prisoners locked up. Given that all prisoners will be released (with the exception of those mandated to serve life sentences for murder), the IPAC team said that without proper rehabilitation programmes prisoners are guaranteed to reoffend once they are released and that this element cannot be sacrificed for security and it must be considered equally important. 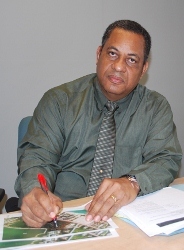 “Strong and effective leadership for rehabilitation and reintegration is required within the HM Cayman Island Prison Service to embed rehabilitation as a prime purpose of a prison service,” the report stated as it pointed to the pressing need for dedicated leadership in reintroducing proper rehabilitation programmes into the prison system. The authors recommend that two deputy director roles are created in the system — one to oversee prison operations (the physical security and safety of the prison) and one to oversee rehabilitation programmes that will ensure each prisoner addresses his issues before release in order to reduce the probability of return into the system. 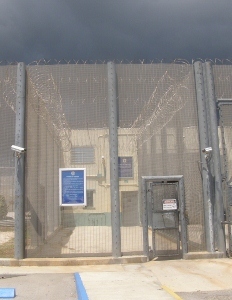 Although the Cayman Islands Prison Service declares in its vision that it aims to provide a safe, secure and controlled environment for both staff and prisoners, is also states that it aims to address offending behaviour, improve education and work skills as it prepares the prisoners for their return to the community. However, the report found that this part of the vision statement was completely absent as there are no proper rehabilitation programmes for offenders for their behaviour, addictions, anger and violence problems or educational needs. The entire concept of rehab has, the authors say, been sacrificed for security. More than 85% of the offenders in the Cayman prison system are either alcohol or drug dependent, which has contributed to their offending. The report pointed to a “compelling need” to address the incidence of drug and alcohol addiction within the prison population but there is no drug treatment inside prison. The authors said that in other jurisdictions there has been a shift in focus to rehabilitation as they reached a crisis state with their prison populations. Among the myriad issues addressed in the report is the problem of many prisoners having severe mental health problems which are not being addressed and which the report said prison staff were not able to deal with. Examining proposals for the establishment of a separate Mental Health Court, modelled on the existing Drug Treatment Court, the IPAC team said it didn’t support that recommendation and advised that a specialized integrated court which deals holistically with an offender is a better approach as it pointed to the need to train people in the system to deal with the needs of those with mental health problems. “All the support services serving the Drug Treatment Court are not trained nor equipped to deal with offenders with mental illness issues so this needs to be addressed through training,” it said. The report examined the lack of transitional support, especially housing, the neglect of sentence planning until almost the moment of release and the failure to address the education levels of prisoners as well as their skill-sets. Despite the sentiment in the community that being incarcerated in Northward or Fairbanks was like living in a hotel, the authors noted that after touring both institutions they strongly disagreed and recommended that people see for themselves by visiting the institutions. “This view, if held, should not become a barrier to establishing a strong, vibrant rehabilitative program in both institutions,” the authors stated. (CNS): Following the appointment of Alan Jones to Chief Officer for Ministry of District Administration, Works, Lands and Agriculture (DAWL&A) Rupert Vasquez has now been appointed as Acting Director, Lands and Survey Department and he promises to bring e-conveyancing to the department as he plans to boost on-line services by scanning in some 35,000,000 land related documents. This promotion follows on from his recent appointment as Deputy Director and Registrar which to record the relevant details of all land ownership information in the Cayman Islands, and to maintain the Registry Map that identifies every parcel of land. The Registrar of Lands is responsible for administering the Lands Registry in accordance with the Registered Land Law, the Registered Land Rules and the Strata titles Registration Law. Today, the Land Registry is responsible for recording all land transaction in the Cayman Islands. This role provides for the maintenance of some 29,000 parcels registers defining ownership and other interests in land such as Leases, Right of Ways, Restrictions and Charges. The primary role is to provide the public with accurate and up-to-date Land Registry information at all times. Vasquez said his goal was to make the system even more efficient with an emphasis on customer service and transparency. “Our Land Registry is already considered and to be the best in the region. However, no matter how good a system is, there is always room for improvement, which can be achieved by analyzing and fine tuning it, and of course, by teamwork,” he said. Budget permitting, Vasquez said he planned to scan in more than 35,000,000 Land Registry documents so that customers will be able to view them online, as was recently done with the survey documents. “This will enable us to move towards e-conveyancing, which is one of the major goals for the Department in the near future,” he explained. Vasquez joined the department in 1982 and has held the post of Senior Surveyor in the Survey Unit before heading the Quality Assurance Unit. In 2007, after being admitted to the Royal Institution of Chartered Surveyors, he was promoted to Chief Surveyor. Minister of District Administration, Works, Lands and Agriculture Juliana O‘Conner-Connolly welcomed him to his new position. “Mr. Vasquez’s selection is reflective of the Ministry’s commitment to build and maintain a strong and dynamic management team and Mr. Vasquez’s wealth of experience will continue to be a major asset to Lands and Survey,” she said. Alan Jones, Chief Officer of DAWL&A added said he had every faith that “Rupert will ensure that Lands & Survey maintains its reputation for excellent customer service and innovative product development. His promotion is a result of his ability to think strategically, and as Chief Surveyor he earned the respect of his peers, customers and partners. (CNS): The family of Kerran 'Kerry-Ann' Baker, who has been missing since last July, are asking the Jamaican government to intervene in the case as they say the RCIPS is stonewalling them. According to a report in the Jamaican Observer, Kerry-Ann’s stepfather, Wilmot Anthony, has issued a public plea for the Jamaican foreign affairs ministry to get in touch with the Cayman Islands to press for answers. Cayman police have stated that they believe Kerry-Ann is dead and although one man was arrested on suspicion of murder in November, he was released and no charges were brought. Anthony said the family needed the help of the Jamaican government to stop the investigation dying out. "We have not been hearing anything from anybody. We need the Ministry of Foreign Affairs to get in touch with the Cayman Government because the case seems like it is dying out," he told the Observer. "We need more support from the Jamaican Government. She was a responsible, working Jamaican. She was no squatter there." Baker, who was 25, worked as a practice nurse before her disappearance from her apartment on Arrow Drive in Bodden Town sometime in the evening of Saturday, 31 July. 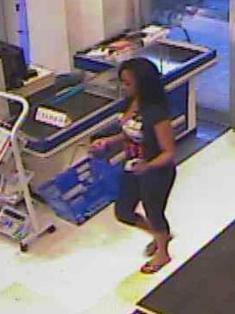 She was last seen on CCTV shopping at Fosters near the airport at around 7:00 pm that evening. When her friends raised the alarm and got into her flat on Sunday, the groceries she had bought were on the counter as though she had been disturbed while she was putting them away. Her car was found abandoned in the Pedro Castle area a few days later and the keys apparently thrown into the bush. Despite a number of searches organised by the police and supported by friends, family and the community, there has been no sign of Kerry-Ann. Chief Superintendent John Jones confirmed a few weeks after her disappearance that the police were treated her disappearance as a murder enquiry. The public is asked to call the police on 949 7777 or alternatively the anonymous tips line 800 TIPS (8477) if they can offer any information that could assist the investigation.